MyTalisman – Live the Life You Love! Logging flights as a student pilot taught me the importance of following a checklist. When everything is going as expected, its easy to become complacent and to overlook something important. Confirming there is adequate fuel for the flight and the weight of the load comes to mind. Financial management is similar – after 33 years of practice its easy to get complacent, especially when things have been going well. 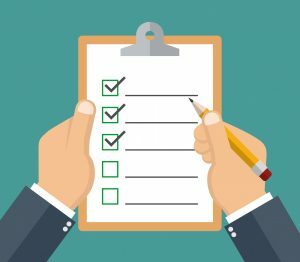 A check list makes sure we are not missing anything, including the planning to make sure there is enough money to provide the lifestyle of your choosing at the right time and place. We live in a world where icons and images represent words and simple clicks link to applications used to monitor and perform common tasks. The guess work has been taken out of many things we once had to think about, which also creates a tendency for us to become complacent. The solution is to increase our attention, continue scanning the horizon and check our instruments because things have been going well and complacency is a risk. We must keep thinking about what we are doing and trust we will make good decisions when the time comes to make decisions. Good information delivered with speed is critical. MyTalisman is operating from a check list. The list we use was prepared from hundreds of first hand individual user experiences, under a variety of conditions, over decades of time. Also formal training and continuing education is allowing us to tap into the collective experience of many other advisors and their clients. MyTalisman is evolving to remove the guess work and chance out of personal financial management, so you can live the life of your dreams. Only one person can do the creative work needed to design the best version of you, so we leave that up to you. Your hopes and dreams are personal; we will never ask to see your bucket list. Our primary focus is to assist our clients so they can live with confidence and a sense of purpose. We focus on the conduit, watching out for the important financial matters you need in place, so you can focus on your hopes and dreams. Presently myTalisman is monitoring the key areas of your financial planning on our secure cloud based system. Our dashboards allow us to monitor critical information and use the information to prepare for a safe investing and financial management experience. There will always be a place for independent thinking and questioning what we are doing, even with good technology. Our role is more of a co-pilot, so we are putting the critical information in your hands – you have control. MyTalisman is being developed as a web based application, so you can carry it with you. You will soon click an icon on your phone to monitor the critical areas of your personal finances in much the same manner as we are using here in the office. For the first time anywhere, MyTalisman is putting control of personal financial management right at the tip of your finger! You can run through your checklist at any time and rest assured that you are secure and prepared to become your best version of you and to live the life of your dreams. Presently we are in the demo stage, testing the new system. We look forward to formally announcing this “first of its kind” application soon.